Thanks must go once again to Rough Trade’s Album Club for helping me discover this one. After finding it a very enjoyable listen, it was the band’s live show that really grabbed my attention and led to me giving the album some serious listening. It manages to flick between soft and gentle harmonies, and ripping blues rock, with frontman Ben Knox Miller sounding like Bon Iver one minute, and Tom Waits the next. The album (their third, under the band name, following a few lineup changes) is full of folk rock goodness, and seems to have gained them a good following in the UK this year. Special mention must go to the download only track ‘Don’t Let Nobody Turn You Around’ featuring a stunning bass solo intro from Jeff Prystowski. 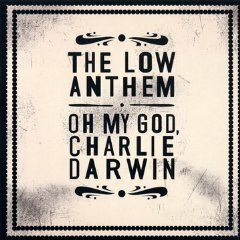 If you have/get the CD version make sure you download this track too! Following an EP last year, this is the first full length release from Gabby Young’s new band, the ‘Other Animals’, folowing a couple of solo albums. It’s hard to know where to begin when describing the band’s sound, but the combination of guitar, accordian, double bass, clarinet, trumpet and trombone in the band results in a mix of rock, folk, jazz and gypsy. Combine that with Gabby’s stunning voice and you have a superb, and very fun album. It’s full of infectiously catchy tunes which you will find getting stuck in your head long after you finish listening. A couple of tracks from her previous album have been reworked for this one and have benefited from the increased instrumentation. Give it a try, it’s bound to put a smile on your face! 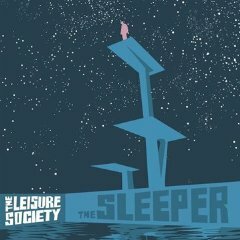 The debut offering from The Leisure Society was a real slow grower for me. Over the course of the year I’ve managed to see them live on several occasions, with each show impressing me more and improving my opinion of the album. It’s a charming little album, quite folky in style, and full of catchy tunes with gorgeous harmonies. I especially like the range of instrumentation used, including plenty of strings and flute, as well as banjo, mandolin and ukelele. The band have received a lot of attention due to single ‘The Last Of The Melting Snow’ being nominated for the Ivor Novello award, but that’s not where the greatness ends, the rest of the album also has a great deal to offer. The 2CD edition is also worth a go, as it features their superb cover of Gary Numan’s ‘Cars’, delivered in their very own style. Back at the start of the year Broken Record lists were high on my list of excitement for 2009. A few gigs and single releases the previous year built my expecations, and they didn’t fail to deliver. The album capures the energy and spirit of their live shows, from the lively ‘ceilidh’ style of tracks like ‘If Eilert Loevborg Wrote A Song It Would Sound Like This’, to emotional album closer ‘Slow Parade’. With a similar musician/instrument set-up to bands like Revere and The Arcade Fire, with violin, cello, trumpet, keyboard and accordian accompanying the ‘standard’ band setup, Broken Records push their sound more in the direction of their Scottish heritige, and have created a fantastic sound. Their live shows have continued to impress this year, with them being my most seen band of 2009. With new tracks sounding very promising, I can’t wait for the follow up! Hooray! The return of SFA is always something to look forward to. 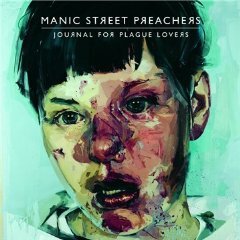 Whilst side projects such as Neon Neon, The Peth, Acid Casuals and Gruff’s solo efforts tide things over nicely, I do enjoy it when one of my all time favourite bands regroup to produce a new album. This time they went for a more jam-based affair – the album has a very live feel to it, and it clocks in as their longest album. It features a great mix of drawn out jams (‘Crazy Naked Girls’, ‘Cardiff In The Sun’) and brilliant pop tunes (‘Helium Hearts’, ‘White Socks/Flip Flops’). It once again features shared songwriting duties, with Huw ‘Bunf’ Bunford and Cian Ciaran contributing lead vocals, and their first welsh-sung track since 2000’s ‘Mwng’, as part of the clever ‘two-parter-but-not-quite’ pair of tracks ‘Where Do You Want To Go?’ and ‘Lliwiau Llachur’, which share the same melody. It’s unlikely that the band will return with another album until 2011, but I hope that 2010 will bring with it some more solo releases or side projects. The four year gap between previous album ‘Some Cities’ and ‘Kingdom Of Rust’ seemed like a long time to wait, but it seems to have been well spent. 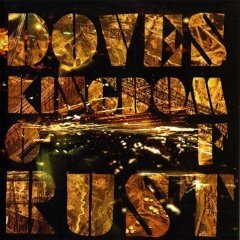 The album finds Doves at their anthemic best, with some of their strongest tunes yet. The title track and lead single ‘Kingdom Of Rust’ is a sublime example of their capability, and has surely been one of this year’s finest single releases. ‘Jetstream’ sees a bit of a return to their electronic roots as Sub Sub, and there are some fantastic tracks at the rockier end of the spectrum in ‘The Outsiders’ and ‘House Of Mirrors’, both missed single opportunities. Elsewhere there’s a bit of funk in ‘Compulsion’, and a great build up and breakdown in ’10:03′, which featured assistance in arranging from Tom Rowlands of The Chemical Brothers. If you enjoy the album the bonus tracks on iTunes are also well worth a listen! 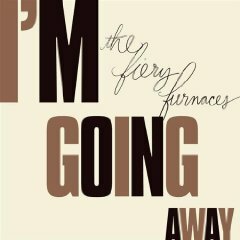 My entry into the world of The Fiery Furnaces was via their live album ‘Remember’, which is a sprawling double album with tracks from a range of gigs, cut and pasted together to make something special, with speed, time signature, and style changes all over the place, often within a single song, and I loved it. ‘I’m Going Away’, their first studio album since the live album, could not be more different. It’s a slick album of fairly polished ‘lounge pop’ songs, full of catchy hooks and melodies. I understand it’s also a departure from most of their previous work, with song structures being much simpler, but it demonstrates that they don’t need the complexity, and can just write good tunes. After a few listens I found myself hooked and many of the tracks floating around in my head. Highly recommended, whether you are familiar with their previous material or not. Ever since I started compiling this list, I was torn between my top two albums of the year, and still wish I didn’t have to drop one of them to number 2. In the end, the decision fell down to having been able to experience the other album live in full, which reinforced its brilliance. 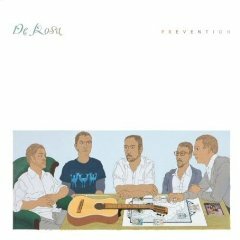 Sadly a few months after the release of this album, De Rosa split up. I had discovered them after seeing them support Broken Records in March, but at that point didn’t know a single song, nor how much of an impact their recorded output would end up having on me over the rest of the year. Expanding on their folkier roots, and stepping in a slightly more electronic direction at times to their debut album ‘Mend’, this album is packed full of expertly crafted tunes. At times it is very fragile and emotional, at others soaring and epic, with Martin Henry’s vocals being stunning throughout. 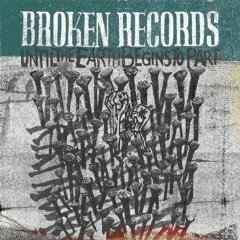 It was real shame that the band split up (I wish I’d had another chance to see them live), but they have left behind two very special albums which I urge you to check out. Thankfully Martin plans to release solo material this year, which judging by the demos on his Myspace page should be ever bit as strong as his former band. Finally we reach a fittingly epic conclusion to the list. 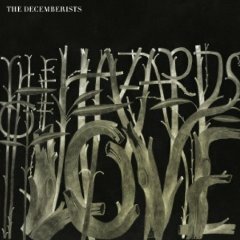 The Decemberists, a band whom I knew very little about at the start of the year, have really captured my imagination with the release of ‘The Hazards Of Love’. It’s a concept album, and essentially a rock opera, with recurring themes and melodies throughout, as well as tracks that run into one another. With a title based on an old 60’s folk EP, the album tells the story of a woman named Margaret and her lover William. For me, whilst the story does add to the overall experience, it’s the music that I’ve really fallen in love with. The music is a mix of folk and americana, and the classic/prog rock sounds of the 70’s, which works incredibly well. For this reason it’s not going to be everyone’s cup of tea, but seemed to fit into a perfect niche for me. 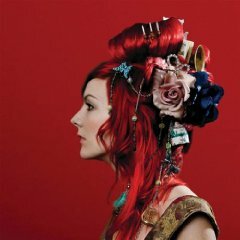 The band are helped out by a number of guest musicians and vocalists, most notably Shara Worden (of My Brightest Diamond) on album high point ‘The Wanting Comes In Waves/Repaid’. As mentioned earlier, it was the live performance of this album that cemented it as my favourite of the year, a stunning show which really deserves a DVD release. So that brings us to the end. Time to head off and catch up with what I missed during 2009, and to start listening to the first releases of 2010. The next few months are looking amazing already, with Eels, Get Well Soon, Fyfe Dangerfield, Field Music, and Midlake all likely to be fighting for a place on this list next year. 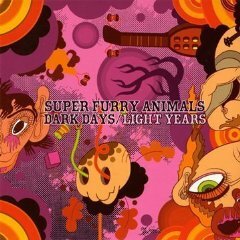 This entry was posted in End Of Year and tagged Best Albums Of 2009, Broken Records, De Rosa, Doves, Gabby Young & Other Animals, Manic Street Preachers, Super Furry Animals, The Decemberists, The Fiery Furnaces, The Leisure Society, The Low Anthem, Top 10 albums. Bookmark the permalink.